Which journal should I choose? There are a number of resources with lists of journals to help you identify the one you’d like to publish in. This site aims to increase the visibility and ease of use of open-access scientific and scholarly journals. An alert service featuring the tables of contents (TOCs) of over 14,000 different Anglo-Saxon journals. Tool helps you find the most appropriate Springer journal in which to publish a text. Tool to identify Scopus journals in which to publish an article, based on its title and abstract. Ask yourself a number of questions to rate the journal's quality before deciding whether you should submit your article. A checklist that researchers can use to assess the credentials of a journal or publisher. The journal's impact factor, rank and quartile are important when it comes choosing where you want to publish your research. Collates the scientific indicators on journals and countries taken from the Scopus database (1999-now). Increased visibility of scientific literature. Increased impact of publications: increase in citations of authors and publications. Easy retrieval of contents published in open access. Guaranteed preservation of research results. Publication of a copy of the articles (published and reviewed). Publication of the version sent (preprint), accepted (postprint) or published (publisher's PDF). Access to publications with the possibility of free access, embargoed access or restricted access. The gold route consists of publishing in journals that do not charge any subscription fee for access to the articles, but which have business models that enable them to cover their publishing expenses (for example: an author pays to publish in open access). With the hybrid model, the journals publish the articles with immediate open access after the author or institution owning the articles has paid a fee to finance access. Open Access Institutional Policy at the Universitat Oberta de Catalunya. The UOC institutional repository provides open access to digital publications produced by the UOC community. As the author, it is important to know what type of licence you sign with the publishers with regard to the copyright. This is important because it affects any subsequent use of the article. This infographic shows the main aspects to bear in mind. 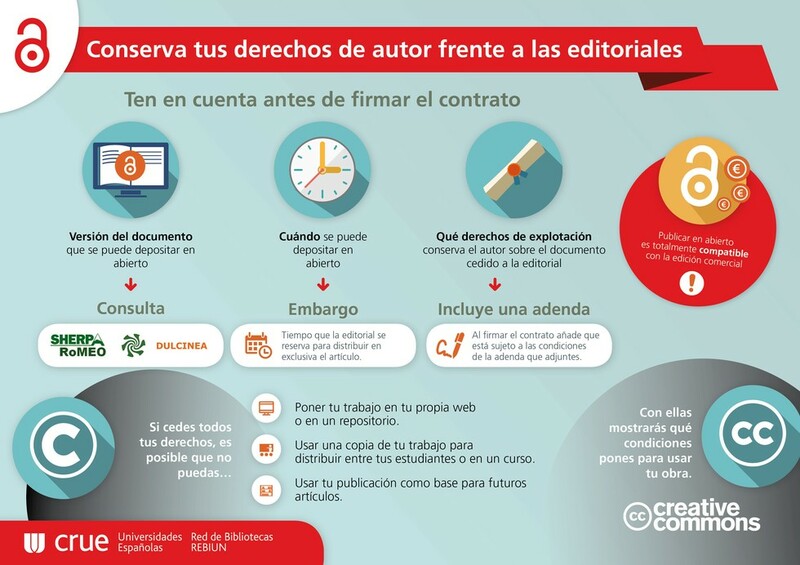 Resources to help you effectively manage your copyrights. 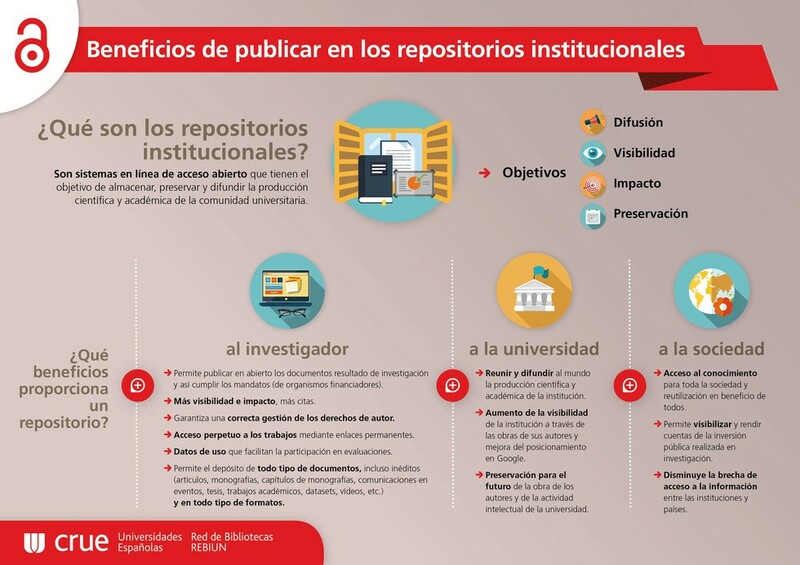 The open-access dissemination licences and its implication in the publishing process in the UOC’s institutional repository, O2.